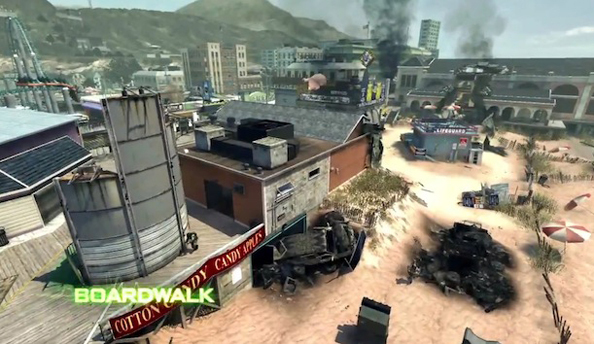 We’ve known about Final Assault’s five new maps for some time, but until now to imagine them we’ve had to rely on brief developer descriptions, artists’ impressions, or completely fabricated personal headscapes based on their five titles – ‘Gulch’, ‘Boardwalk’, ‘Parish’, ‘Off Shore’ and ‘Decommission’. 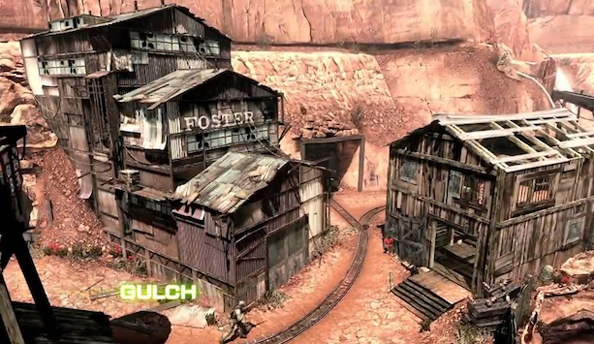 I don’t know about you, but in my head Gulch looks absolutely disgusting. Thankfully, there are five screenshots and a trailer below the jump. 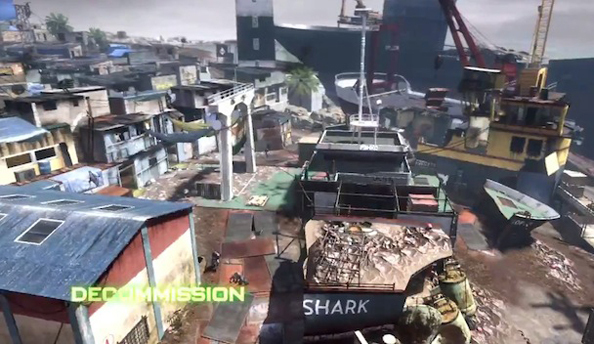 ‘Decommission’ takes players through an elephant graveyard, elephants played here by rusting cruise ships. 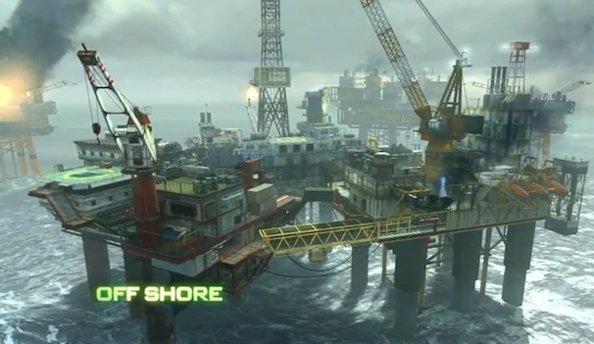 ‘Off Shore’ isn’t exactly thematically new ground for Modern Warfare, but intriguingly necessitates manoeuvring between not one but three oil rigs, via precarious scaffolding bridges. ‘Gulch’ isn’t half as slimy as I expected, playing out in an abandoned mining town amid TF2-hued rocky outcrops. 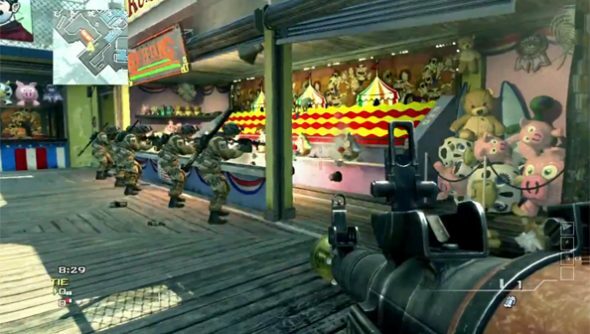 ‘Boardwalk’ – to which the mental freeze frame above belongs – looks like a near-future Blackpool. 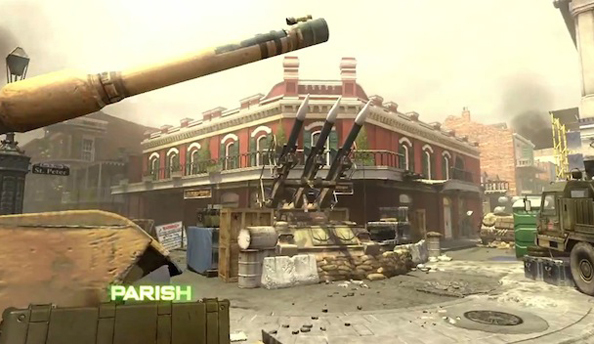 ‘Parish’, meanwhile, takes place in New Orleans’ militarised French Quarter.